Accessorise your home with this silver toilet roll holder. 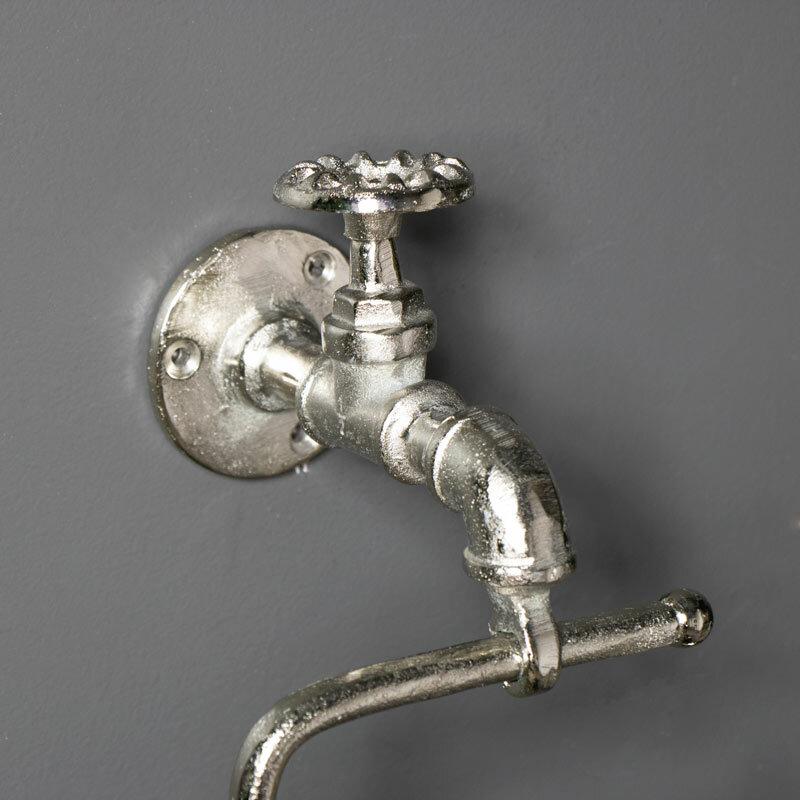 The holder is shaped like a tap to add a stylish and industrial feel. With a polished silver finish that will add character to your bathroom or toilet. This is just perfect for hanging the toilet roll on and keeping it tidy. With matching accessories for this toilet roll holder, we also have the same style in gold, copper and a rustic finish. 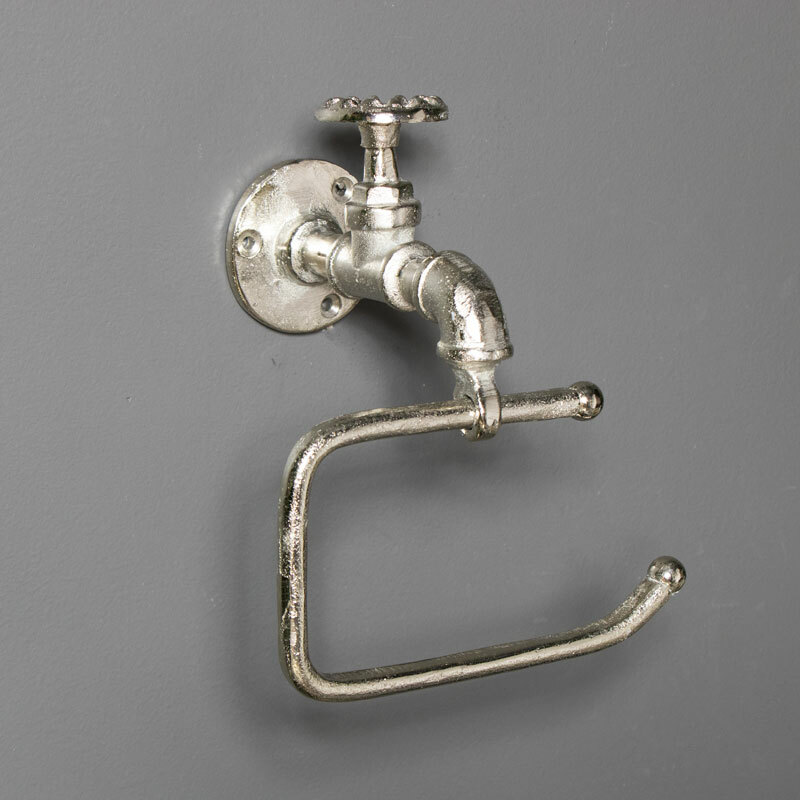 Made from metal in a bright silver finish, this is easily wall mounted with 3 pre-drilled holes (fixings included). A great addition to your home decor with more accessories for your bathroom or kitchen in a stand out silver finish.